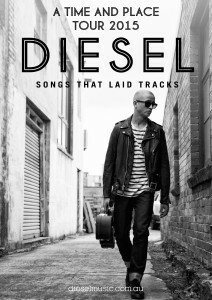 Hindsight is funny thing, you can never know at the time what may later be the catalyst, ultimately taking you in a direction, so has been the case with Diesel’s musical journey. 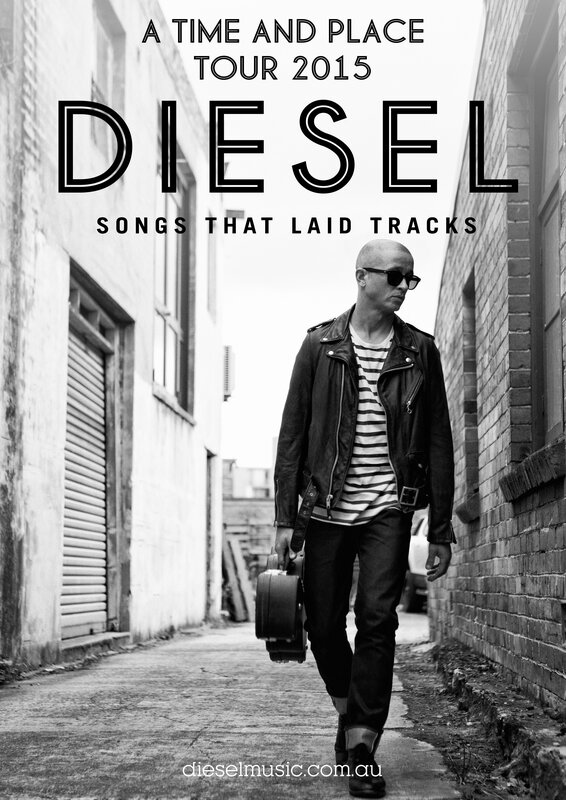 A TIME & PLACE – SONGS THAT LAID TRACKS is Diesel joining the dots from pivotal moments of discovery and subsequent influence to the ultimate destination of inspiration bearing songs, some of them we all have gotten to know over the years. Rewind to a 4 year old Mark Lizotte (aka Diesel) being helped by his siblings to stand on a stool and reach the kitchen wall phone to request from the local radio ‘Maggie May’ by ‘The Faces’… a mandolin milestone that would later manifest in ‘Coming Home’ – a country infused track making it on the debut album “Johnny Diesel & The Injectors”. It’s safe to say, Diesel is the product of a large pool of music that started in the house he grew up in and expanded from there. On this tour he attempts to connect the dots between primary influences, in some cases a specific song, to directly show where these influences have taken him. A TIME & PLACE – SONGS THAT LAID TRACKS is an opportunity to hear Diesel in a SOLO setting as he strolls through the corridors of his musical inspiration, obvious and surprising, it makes for a revealing and captivating night.